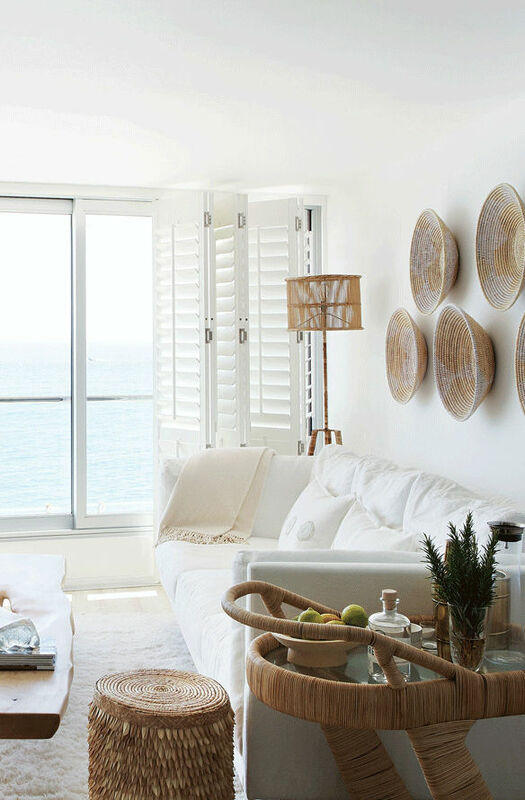 This apartment by Michele Throssell, is in a part of the world, that’s renowned for its incredible light. So well known is Cape Town’s patina that it has become a top destination for the international film, TV commercial and fashion industries. The exclusive suburb of Clifton, is like the jewel in the crown of the city and has some of Africa’s most expensive real estate because of the dreamlike surrounds of mountain, white sandy beaches and sea, and of course the light. No filter is necessary here. The small two-bedroomed apartment is set over two floors and hangs over Clifton’s 1st beach. The sound of the sea is loud and constant, the light ethereal and the location, prime, but it needed a lot of work. Essentially, the team had to set about redoing what was a previous shoddy renovation, in order to achieve the vision of the client- to open the space up, bring-in the light and maximise on the view. The homes and apartment blocks in this hillside neighbourhood present an interesting set of challenges because of the uneven and steeply sloped terrain. A drive along the winding roads of Clifton will reveal that these are feats of engineering genius and as a result, the angles of the buildings need to be precise. This wasn’t the case with this apartment and Michele’s team set about re structuring the long and narrow footprint of the home. A big structural change was the removal of the wall separating the kitchen and dining area to open up the space. The fun really began with the sourcing of furnishings and finishes which were all variants of white, off-white, cream and beige. But white spaces need definition and without compromising the request of the client to maximize the light and not detract from the views, the team started the layering process of rich textures. From the rattan furniture, white washed wooden floors, plush white rugs and crochet throws, amongst others, the inspiration of sea ‘treasures’ washing up on the shore below was a big influence to the team. With a bit of imagination and a lot of light, magic can happen.